Is your chihuahua hard to handle? This feisty dog can be trained fast and easily with the right chihuahua dog training techniques! How to Potty Train a Chihuahua – in 3 Easy Steps! Share the post "How to Potty Train a Chihuahua – in 3 Easy Steps!" Tired of stepping in your Chihuahua’s steamy piles of poop? Learning how to potty train a Chihuahua can be frustrating, but it doesn’t have to be. You just need the right information and the right tools for fast results. 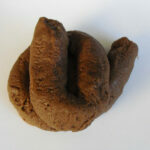 But before I get into how to potty train your Chihuahua, you need to understand this breed. Chihuahuas are the only dogs that were bred specifically to provide companionship to their owners. They’re smart, playful and sometimes demanding, but are fiercely loyal and have an almost human way about them, making them one of the most unique and fun breeds to own. Decide: Direct Method or Paper Training? While small in stature, Chihuahuas require training in order to become well behaved members of your household. Regardless of whether you choose to paper train your Chihuahua or train him to use the potty outside, there are three simple steps you can take to make potty training easier and more enjoyable for both of you. When it comes to learning how to potty train a Chihuahua, there is no more useful tool than a crate. The crate should be just large enough for your Chihuahua to lay down in and turn around. Any larger and your dog may use one end of the crate as a toilet and the other as a place to sleep. It might be difficult to find a crate small enough, so you might want to consider using a carrier designed for cats. Your Chihuahua should be in his crate whenever you are unable to be with him. This will prevent him from using the bathroom anywhere in your home. The more times he uses the bathroom in the house, the harder it will be to break him of the habit. So, be diligent in your use of the crate when you cannot watch your dog. Anticipation is the key to how to potty train a Chihuahua. Take him to the appropriate potty spot after he wakes from a nap, after he eats or drinks and right after he begins to play. It is also very important that you begin to recognize visual clues that your Chihuahua is about to use the potty. Sniffing around on the floor, circling and acting anxious can all be signs that your Chihuahua is about to use the bathroom. Take him to his potty place as soon as he begins exhibiting signs of needing to go and praise him profusely for the right behaviors. If you catch your Chihuahua in the act of relieving himself in an inappropriate place, it is not only appropriate to scold him, it will help reinforce that there are only a few places where using the bathroom is appropriate. Only when you catch your Chihuahua in the act is it OK to scold him for an accident. Chihuahuas will have accidents during potty training. How these accidents will affect your potty training efforts will depend on how you clean them up. Chihuahuas will potty in areas where they have used it before. If an accident isn’t cleaned up using an enzymatic cleaner to remove all traces of the smell, your Chihuahua will be encouraged to use that spot again, thwarting your best efforts to train him. Find a good quality enzyme cleaner and make sure that you immediately clean up any accidents to prevent recurrence. When it comes to learning how to potty train a Chihuahua, following these simple rules will help you get your Chihuahua potty trained quickly. However, if you need additional help, you can also refer to The Ultimate House Training Guide. This book will help you deal with special situations and difficult cases. Share the post "Stop Chihuahua Chewing Your Shoes & Furniture"
At some point in any Chihuahua owner’s life, they come to the question: How do I stop Chihuaha chewing? 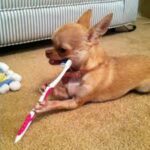 Although the chihuahua is a little dog, chihuahua chewing can be a big problem! There are generally four reasons why this small dog chews your slippers, best running shoes, wires, and anything else he can get his hands on. But don’t worry, I’ll give you some tips on how to stop Chihuahua chewing. Share the post "How to Stop Chihuahua Barking"
Chihuahua barking. What a nuisance. Chihuahuas, like many small dogs, love to bark. Without any proper training, the chihuahua barking may become so excessive that it turns into a nuisance. Here are some effective tips stop excessive chihuahua barking. Chihuahua barking may be due to their dominant nature. Dogs, particularly small breeds, usually become bossy because their owners will pick them up and satisfy them whenever they bark. In other words, the chihuahua barking behavior is positively reinforced. As most owners carry their chihuahuas around, they may develop separation anxiety and begin to bark excessively when they feel isolated and want more attention. Lack of physical and mental stimulation can also lead to chihuahua barking. First and foremost, never yell at your chihuahua as that will give the dog the attention he’s seeking. 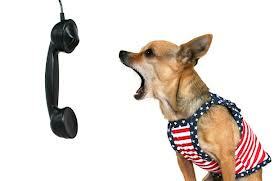 Don’t try to stop chihuahua barking by offering the dog a treat or a toy as that will again encourage the behavior. One good way to stop excessive barking is to exercise your Chihuahua regularly and teach him a few tricks and commands to relieve boredom. If the chihuahua barks whenever a visitor comes in, try teaching him a “sit” and “quiet” command to gain the dog’s focus. 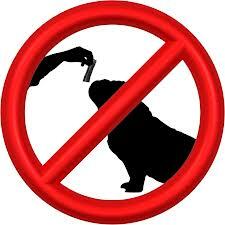 Desensitize your dog to visitors by rewarding him with a treat whenever he obeys your command to stop barking. This way, the chihuahua will associate the visitor with delicious food and begin to welcome their presence. A good command word to stop chihuahua barking is “Quiet!” Say it in a low, but firm voice. A lot of chihuahuas bark to gain attention from their owners. If the owner tries to appease the dog by offering him toys and food, the barking problem will persist. The best way to solve this problem is by ignoring your chihuahua when he barks. The dog will get frustrated and tired after barking for a long while. 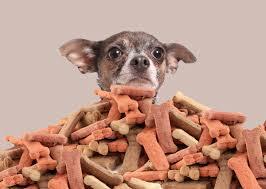 When the chihuahua calms down, you can show your affection and reward the dog with a treat. Be patient and don’t give in to your chihuahua’s relentless barking at the initial stage. 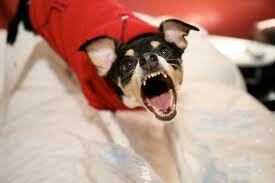 Your chihuahua may get irritated whenever the postman or the deliveryman arrives and starts barking non-stop. Practice the “quiet” command and whenever the passerby appears at your door step, try to gain your dog’s focus by saying the command and rewarding his calm behavior with treats. One of the best dog training books online is Secrets of a Professioinal Dog Trainer. With Secrets of a Professional Dog Trainer, you’ll learn the same techniques used by the professionals to stop your Chihuahua barking problems. How to Potty Train a Chihuahua - in 3 Easy Steps!